Like many people, I like to do crafts. My favorite craft is crochet, and the type of crochet I like the most is Amigurumi. Amigurumi is making animals (and sometimes other things, like food or trees) with yarn. Usually the work is done is done with crochet, but I have seen patterns that use knitting. I have done a bit of knitting, but I can’t imagine using knitting needles to create the tiny creatures of Amigurumi. I say that I make the animals for my grandkids. 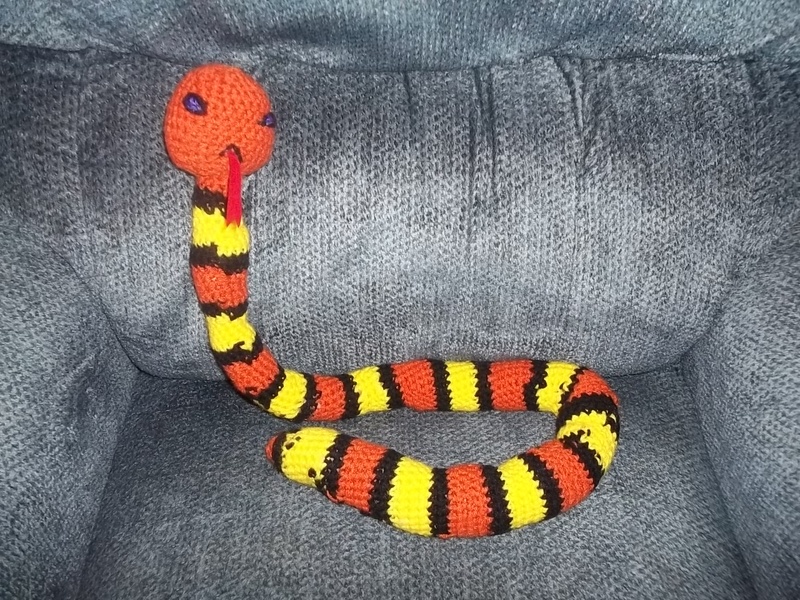 Here are pictures of my latest creations: a snake for Jr. Professor, and a unicorn for Giggles. Now I’m working on a hat for me, but I’m already thinking ahead to the next creature I’m going to make. 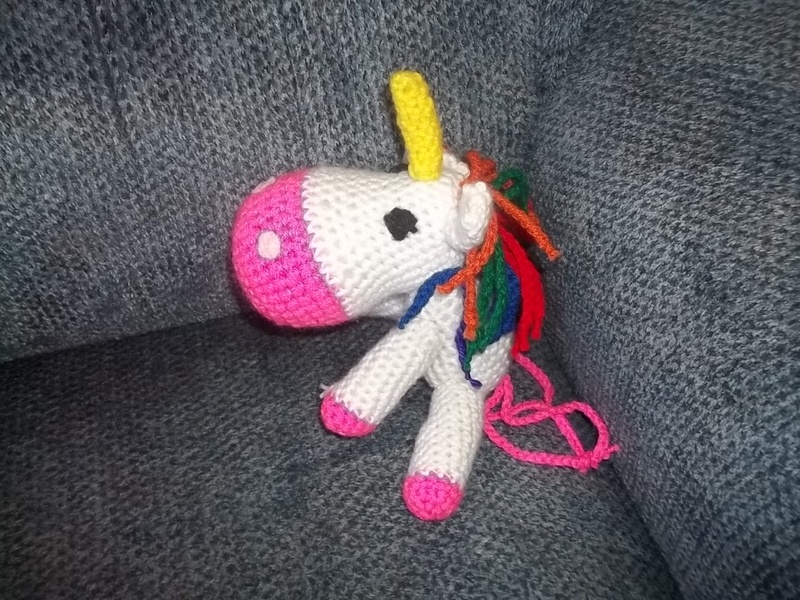 Amigurumi is addictive! Note: the patterns I used are from Amigurumi Toy Box by Ana Raula Rímoli.